These tongs are made for grilling, and that's just what they'll do. 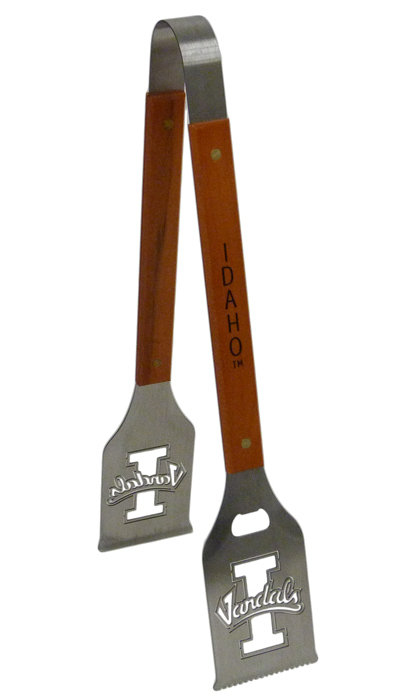 They have I-Vandals and Idaho on them and they will help you flip burgers, sausages, or even vegan meat substitutes. It also has a handy bottle opener built in, so that is a bonus.